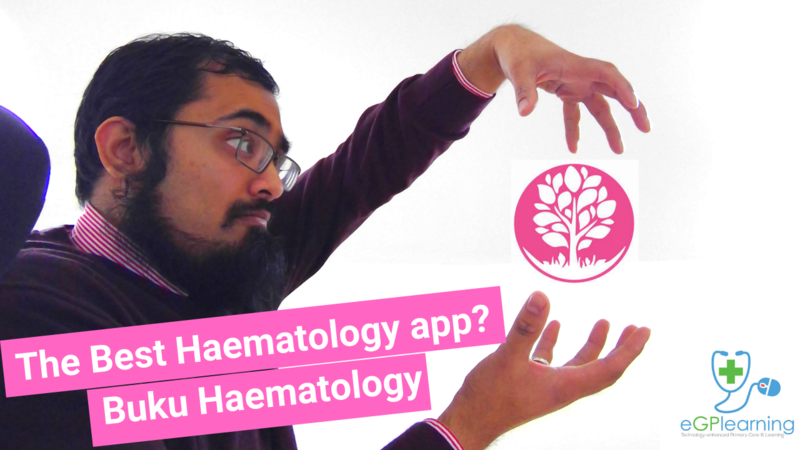 What is the best haematology app? Buku Haematology is it. Watch this review of Buku Haematology – a useful clinical reference resource that details how to manage haematological investigation results, work up for common haematological conditions and emergencies. Click the image to start. The highs and lows section covers individual test results and the implications of them to help clinicians understand how to manage the results in context of each patient. The work up section explains common presentations and considerations for haematological conditions and how to manage from a primary care perspective and and what point to refer. The obstetric section has useful criteria for managing anaemia in pregnancy. The emergency section helps guide how to manage complex haematological emergencies. Created by Dr Alex Langridge and Prof Steven O’Brian Buku Haematology really is a useful app that is updated in content on a regular basis.